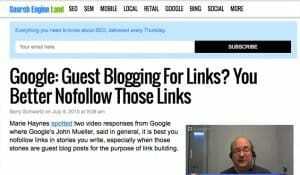 Blog > Marketing > Are Guest Post Links from Medium.com Worth The Effort? If you’ve been a regular reader of this blog – or if you want to scan the archives real quick – you know I’ve been covering a lot of different sites with determinations as to whether or not links from those sites are worthwhile. This post is another in that series, this time focused on Medium.com. Let’s start with the basics. What is Medium.com, what do they publish, and how can you post on their site? First up, Medium is a simple blogging platform. It’s similar in many ways to Tumblr, Blogger, a long-form Twitter, or any other free blogging site. It’s a platform that hosts innumerable pieces of content in a wide variety of topics and quality levels. Literally anyone can sign up to write on the Medium platform. All you need to do is click the “get started” box in the upper corner, and then sign in with either a Google account or a Facebook account. It’s a matter of a couple button presses to get ready to write, which is pretty much the single fastest registration method that exists for any blog. 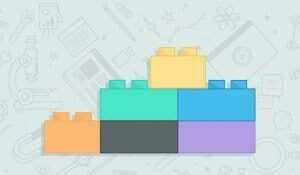 Since Medium is a blogging platform, it has all the trappings of a typical blogging platform. Once you’re signed up, you have access to your dashboard. From there, just clicking “new story” brings you to the publication page, where you can write a new blog post from scratch. It’s a very bare-bones editor, without much in the way of fancy trappings or editing options. All you get are a couple of text boxes. When you’re ready to publish a post, you hit the drop-down in the upper corner. You can add up to five tags – useful for SEO – and can add images to spice up the content, as well as automatically sharing it to Twitter and other connected social networks. Medium has two possible upgrades you can make. The first one is to become a member. A membership is $50 per year and has the usual membership features you might expect. You get unlimited access to posts, you get zero ads, you get audio versions of popular stories, you get a curated feed, and so on. You can read all about the membership here. In order to incentivize readers to become members, readers who don’t pay for a membership can view up to three members-only posts per month. The membership is aimed at readers wanting to get more out of Medium as a whole. It’s not really useful for publishers looking to use the site as a blog. On the other hand, it’s one part of a two-sided coin, with the other part being the Partner program. 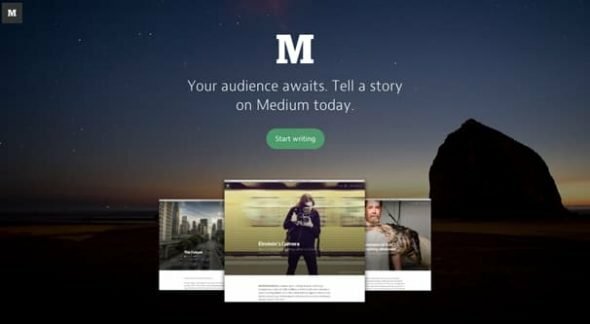 The Medium Partner Program is a way for you to monetize your Medium.com writing. When you’re a content producer, you can sign up for the Partner program and make some money on the site. Very prolific, high quality writers can make quite a bit of money from the site, but as with all free blogging platforms, it’s very competitive. It’s interesting in how it works. When you write a post, you can designate it for open audiences or for members only. If it’s open to everyone, it’s not monetized. If you restrict it to just members, you can earn money based on reader views and engagement. The more engaging your story, the more money you can make. Additionally, when you submit something to the Partner program, it is reviewed by a list of curators who are generally Medium-based influencers. These influencers have the option of then promoting your content to their own audiences, both on and off Medium. I assume they are compensated in some way, though I’m not sure how that aspect works specifically. The Partner program comes with its own list of editorial guidelines. You can’t use unrelated tags, you can’t publish low quality content, you need images you own or that are available on creative commons resources, you need to keep engaging with your readers, and you can’t post sponsored content or paid links in your posts. There are a few different ways you can use Medium in an attempt to boost your own business. Here’s a rundown of what I’ve seen. First, you have to choose between freely available content and members-only content. Free content is not given as much promotion or prominent positioning on Medium itself. On the other hand, it makes up for it by being freely available to any Medium reader instead of just their members. If you make your content members-only, you can earn money from your publication. Unfortunately, your potential readership is smaller, and so will be the traffic you refer in your links. It’s up to you to determine whether the income from Medium is enough to counteract the drop in visibility. Essentially, which do you prefer: visitors to your website or additional income? Which is more valuable to you in the long term? Next, you have the choice of whether to duplicate your own blog or publish only unique content. There are a lot of quirks to the post duplication and import system, which I put in its own section below. Essentially, you have three options here. 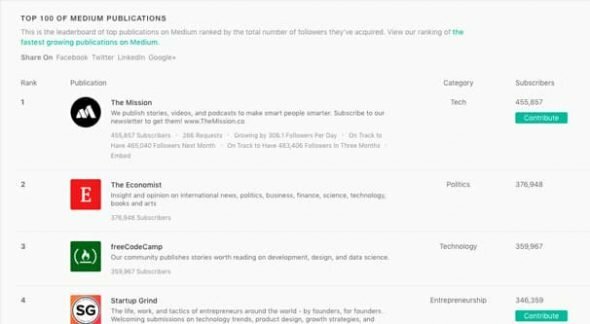 You can publish unique content on Medium alone or on Medium and your blog post. No duplication between them. This can build great audiences of unique viewers, but requires more content creation. The second option is to post your content on your own site first, then import it to Medium. This has drawbacks as listed below. The third option is the reverse; post on Medium and then copy the post on your site. This has the potential to bring you the most returns, but also means you’re making Medium your primary location for content, which can hurt the content viability of your website. You can offset this by writing unique content for your site, however. You also have to decide if you want to put your content in a Publication or not. Publications are collections of similar content under a banner. You can see examples here, like Matter or The Nib. There are hundreds of publications, some with very small followings and some with very large audiences. It’s worthwhile to find the top publications and get into them if you can. How do publications work? Think of them like blogs other people run. Each publication has an owner and can have others appointed to editor roles. From there, it’s just like a blog with a submission process. You have to submit content and get it approved by an editor or the owner to get it added to the publication. Publications are distinct from traditional guest posts because your content is still published under your name and via your account on Medium. You don’t have to worry about writing a bio blurb and keeping it updated, it just ties right into your profile. If the owner likes your content enough, they can appoint you as a writer for a Publication, meaning you can bypass the submission process and write directly for the publication. This can be quite valuable, but also requires building a relationship with the owner, which isn’t always possible. You can, of course, create your own publication. You don’t gain much from doing so unless you want to focus the time and energy into it to make it a full-size blog of its own, though, so it might not be worthwhile. Medium is a strange platform, and it doesn’t quite work the way you expect it to work all the time. Here are a few of the quirks you might have to deal with. First of all, Medium has some SEO practices put into place to help fight issues like organic search traffic splitting and duplicate content issues. If you’re the kind of person who wants to syndicate your content on both platforms as I mentioned above, you might run into these issues. 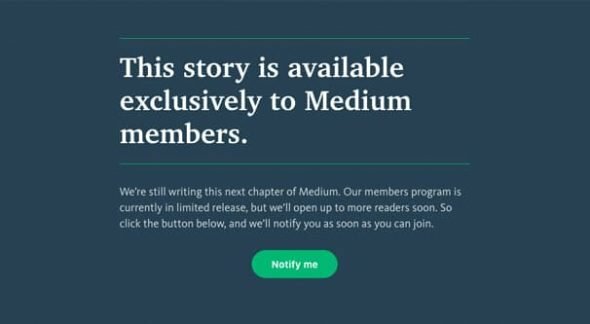 If you post a blog post on your website and then copy and paste it to Medium, Medium treats it as original content. This can lead to traffic splitting and even duplicate content issues, though Google is usually smart enough to recognize it’s not necessarily duplicated content or stolen content, but syndicated content. 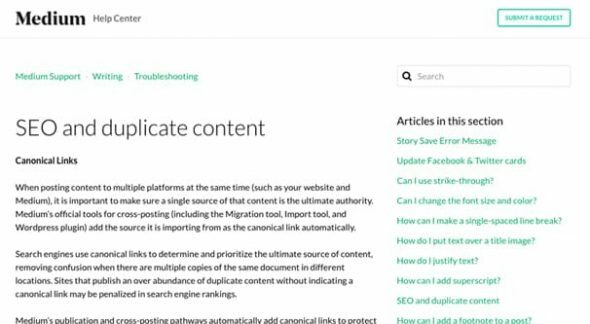 If you choose instead to import content from your blog to Medium using their import feature, the Medium post will have a canonical link pointing to your site. This is hugely beneficial, because it tells Google that your site is the official version of the link, giving your site preference in the search results. On the other hand, importing content from your site to Medium will give the Medium version the same timestamp as the post on your site. If that timestamp is a day or two in the past, your post shows up in Medium’s feed… a day or two in the past. You get none of the initial feed positioning you would have for posting something brand new. This isn’t a problem if you import posts immediately after posting them, but since we often use schedules and delays on posting, this isn’t always possible. You can lose out on a lot of traffic and value for a late import. Should You Use Medium? Is It Worthwhile? Now let’s tie this all together. Is Medium worth the time and effort, or is it basically like starting another blog on blogger and hoping it gets big enough to benefit you? A lot of it comes down to where you are in your blogging process. 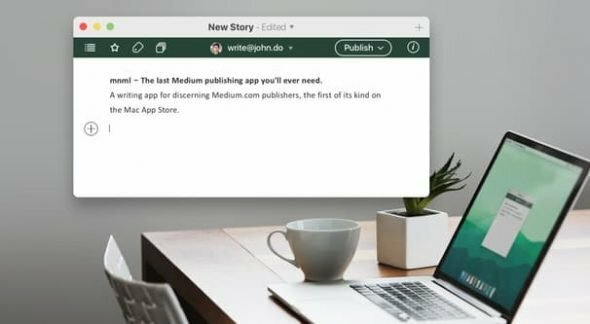 If you’re a new startup or an individual new to blogging, Medium can be a great place to start. It has a lot of established SEO clout and a large existing audience. It has the potential to earn you money, which you can use to support your other endeavors. You have zero overhead in running a Medium blog, too, so you aren’t tallying up the red entries in your blog bookkeeping every month. If you’re an established business or blogger, Medium can be worthwhile, but you have to decide how to approach it. Personally, I think it’s better to publish unique content on both Medium and on your own site. Curating from one to the other tends to leave one or the other in the dust, and won’t benefit you the way you want it to. It can get you a few extra hits, but are those hits worth it? Feel free to run some tests yourself. I also recommend aiming for the top-tier publications in your niche. If you can get into a publication with thousands or hundreds of thousands of followers, you automatically have access to a huge audience. Buffer tallied up the kinds of traffic you can expect from a Medium post, and it can vary wildly. They had posts with nearly 50,000 views, and posts with under 100. You can read their data here, about halfway down the page. Create a branded publication for your writing as a CEO or entrepreneur, not under the heading of your startup. Write unique content and submit it to existing high-end publications. If your content is accepted, great! Go back to step 2. If your content is declined, submit to other publications. I recommend building a top 10 list of publications you want to be seen on. If you’re rejected by all of them, go to step 5. If one of them accepts your content, go back to step 2. If all else fails, publish your content in your own publication. Maybe your own audience will be interested in reading it, and if nothing else, it becomes effort not wasted. Each post you write for Medium should have a link back to a relevant piece of content on your site. Don’t just slap a “hey read more by me at X” call to action at the bottom. Cite some data or further reading on the same subject and reference it in your post. Somewhere in the middle tends to work well. 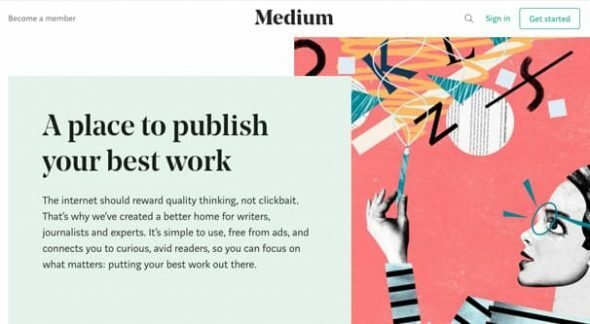 In my opinion, Medium can be a good option for bloggers, but it takes plenty of effort in learning how all of their systems work and creating content specifically for the site. If you can swing it, go for it. Is It Still Useful to Post on a Site That Has Nofollow Links? 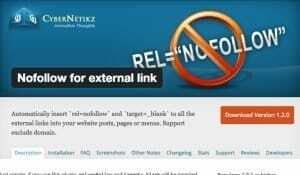 Do You Have to Nofollow Your Links in Your Guest Posts?